First off, welcome to my art blog!! Inktober is just around the corner and I'm incredibly excited! For those of you who don't know, Inktober is an art challenge where you draw/paint something in ink every single day of October. Since this is a challenge you aren't required to do a piece every day to participate. You can do every other day or every week, whatever works best for you. I came across Inktober & told myself that I would do my best to participate and it's finally that time of the year! I haven't done any monthly challenges and I can't wait to see what I can come up with. I'm hoping this helps me get in the habit of drawing every day and perfecting my inking skills. I know this will be difficult at times having a full time job as well, but I really want to push myself and complete all 31 days. 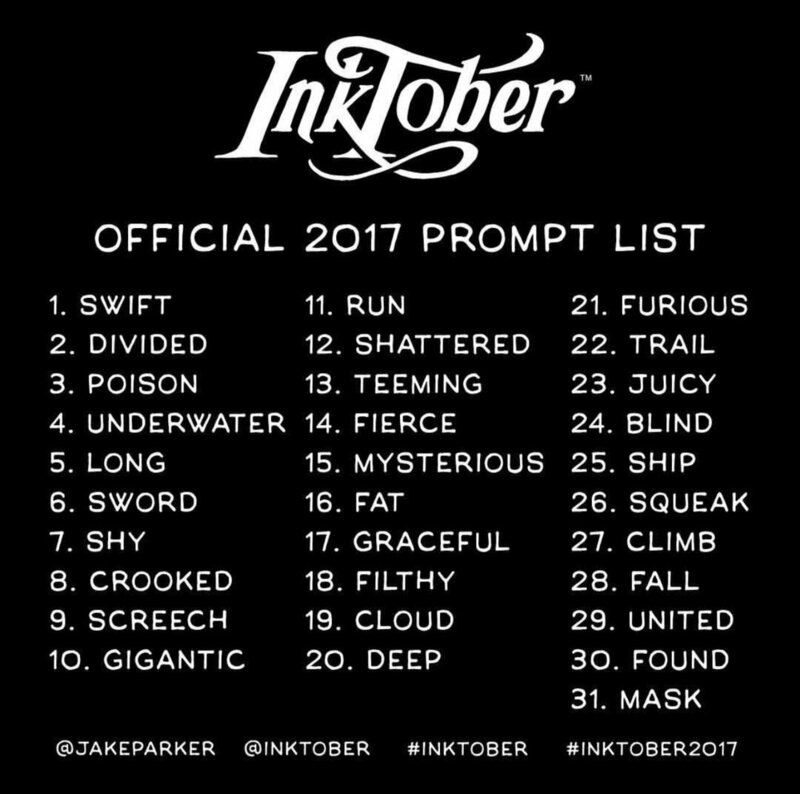 The creator of Inktober, Jake Parker, posts a prompt, which I’ve included for you below, with a word to spark an idea for each day. While the official list is very helpful, I decided to come up with my own prompt this year. My theme will be based on the short stories and poems of Edgar Allan Poe! I've been fascinated by his cryptic stories since I was a child and I want to challenge myself to read more of his work in order to create my Inktober pieces. From what i’ve read so far, I’m excited to depict his stories into art pieces! I’m thinking to also include a small description of each story with my illustrations in case you haven’t read them but we’ll see how that goes. I decided to use pre-cut 5x7 hot pressed watercolor paper for this challenge so that I can cut out the time of preparing my paper. I will also be using my Micron pens, Higgins Black Magic Ink & Liquitex Muted Collection Inks. I may use some Mijello and Finetec watercolors here and there as well when I’m in need of a bit of color. My inktober pieces will be uploaded on my Instagram page, @emanfouadart, daily if you’d like to keep up. Good luck to everyone participating! Can't wait to see what everyone will come up with this year!